Neuromyths in Education: Why do they persist? In a post last year we discussed issues with the lack of evidence-based education, and during some recent professional development sessions and conversations at my university, this came to mind again, as some of the ideas that seem to be taken for granted in higher education seem to have very little supporting evidence. Indeed, education does seem an area where some of the so called “neuromyths” persist, and are even championed. I came up against this when challenging some of the constructivists and postmodern educational ideas being discussed by a PhD student and a senior member of faculty in education. I was told “I didn’t realize people actually still thought that sort of thing” as if I was some sort of ludite dinosaur. 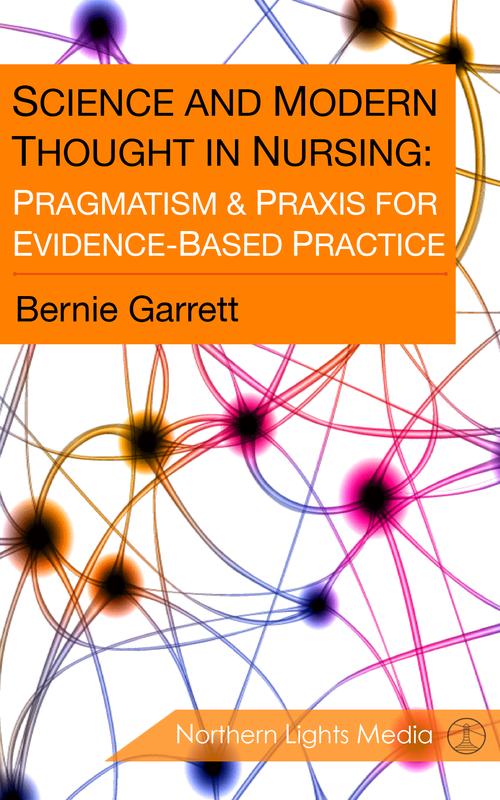 Sadly, I have found members of nursing faculty are often patronized in such ways by academics from other disciplines, which usually signals to me an inability to make any useful counter-argument to a point, and possibly also a rather closed mind! Neuromyths are really ideas about neurological/cognitive processes that have been repeated often enough to become considered as fact. Unfortunately some misconceptions about the brain persist in the classroom and beyond. Let us consider a few of these established ideas that pervade higher education that have mainly arisen from dubious educational psychology and persist as contemporary wisdom. As educator James Atherton notes: most teachers would not argue with the proposition that people learn or teach in different ways. This has given rise to a whole host of theories of learning (and teaching) styles. There are at least 71 different learning styles inventories published. However, the assumptions of the “styles” adherents in education are that it is possible to develop a relatively simple typology of learning or teaching styles and then develop test instruments to ascertain where individuals fit, teach to address them, and (more worryingly) assess the quality of teaching with reference to this. The evidence to support this is unfortunately weak at best. The research does not support the notion that there are hard-wired styles, and many of the theories conflate learning styles with learning strategies, cognitive theories, or personality type theories. Certainly, students may well have learning preferences but they are not as clear-cut as these various inventories suggest, and motivation would appear to over-ride them every time (Pashler et al. 2008; Scott, 2010). Nevertheless, if you look at many university education and professional development sites they continue to be taught at sage wisdom, and many commercial enterprises exist who are happy to sell you a test. The following diagram (or versions of it) appears in around 15,000 web sites (if you do a reverse image search on google – or simply search “learning pyramid”), and yet the evidence that supports it is very vague. It purportedly depicts the degree of retention of material with various teaching methods. It may come from early work by Dale (1946/1969) but even the US based National Training Laboratories Institute for Applied Behavioural Science (who cite it) admit: “NTL believes it to be accurate” but says that they “can no longer trace the original research that supports the numbers” Magennis and Farrell (2005:48). It is also often conflated with the notion of the “cone of experience” in education and the Washington Post also did a nice article on the flaws with it in 2013. Again, there is probably some use and truth in the notion that some teaching methods will work better for some subjects and in some situations. However, the idea that there is a strong validated theoretical model with clearly defined categories is far from the truth. Howard Gardner’s multiple intelligences model and Edward de Bono’s thinking hats are other good examples of theories I often hear discussed or quoted to support pedagogic approaches. Yet both are also good examples of modern neuromyths. Gardner first proposed his theory of different types of intelligence in 1983. Since then, it has undergone incremental changes, including the addition of one additional intelligence (bringing the total to eight). These different forms of intelligence have been advocated as a basis for changing the way in which we teach. But, repeated research and meta-analysis has found no evidence that individuals actually conform to Gardner’s theoretical categories. Also, according to a 2006 study many of Gardner’s “intelligences” correlate with the g factor, supporting the idea of a single dominant type of intelligence. Lastly as a predictive factor for success, it would seem rather simplistic, and although generally a good predicator of performance, does not explain the many confounding examples of successful people who have lower IQ scores than those less successful. The Thinking Hats site www.debonoforschools.com reads like rather a satire on the subject. It was originally proposed by Edward de Bono in 1985. The premise of the method is that the human brain thinks in a number of distinct ways which can be deliberately challenged, and hence planned for use in a structured way allowing one to develop tactics for thinking about particular issues. However,there is virtually no empirical evidence supporting the model, and it has often been parodied. In the end, Gardner’s theory or de Bono’s thinking hats interesting ideas but probably not all that helpful for adoption in formal education. Again this seems a a widespread common belief, but though the 10-percent myth is widespread, recent neuro-imaging technology has conclusively destroyed this. While not all of the brain is active all at once, functional magnetic resonance images (fMRI) show several brain areas are at work for any given activity, depending on what function is needed, and that we use the majority of our brain matter daily. Lack of Theoretical Development and Testing? Overall, I fear part of the problem here is the trend towards accepting postmodern constructivist epistemologies, over thorough scientific investigation, or what I might call the “its all good” syndrome. I worry that this ambivalence towards good evidence in academic inquiry is actually gathering steam, rather than diminishing with key examples being the current rise of so-called integrative science and quackademic medicine. Good scientific practice involves developing ideas into theories, and testing them repeatedly to identify the best of a set of competing hypotheses or explanations. That does not mean we have found the truth but the best explanation given our current understanding. An approach that accepts them all as equally valid explanations of the world offers little in practical value, apart from the ongoing generation of even more unsubstantiated theory. The call that we need more research into these theories is often suggested, but we should also recognize the comes a point when it is reasonable to say we have enough evidence, and move on to something new. It is not so much that these neuromyths are wrong, but that the evidence base and/or research methodology is flaky at best, and they have often been misinterpreted and generalized beyond their legitimate use, and make little sense in the real world of education. So, time to move educational theory on towards more productive areas where student performance can actually be shown to improve, such as with the use of improved feedback/formative assessment strategies. There is an excellent balanced chapter on “neuromyths” from a recent book by the co-ordinator of the Neuroeducational.net site Howard-Jones, that is well worth a look. Dale, E. (1969) Audiovisual methods in teaching, third edition. New York: The Dryden Press; Holt, Rinehart and Winston. Howard-Jones P (2009) Introducing Neuroeducational Research London; Routledge. Pashler H, McDaniel M, Rohrer D and Bjork R (2008) “Learning Styles; concepts and evidence” Psychological Science in the Public Interest vol. 9 no.3; available on-line at http://www.psychologicalscience.org/journals/pspi/PSPI_9_3.pdf accessed 21 May 2014.